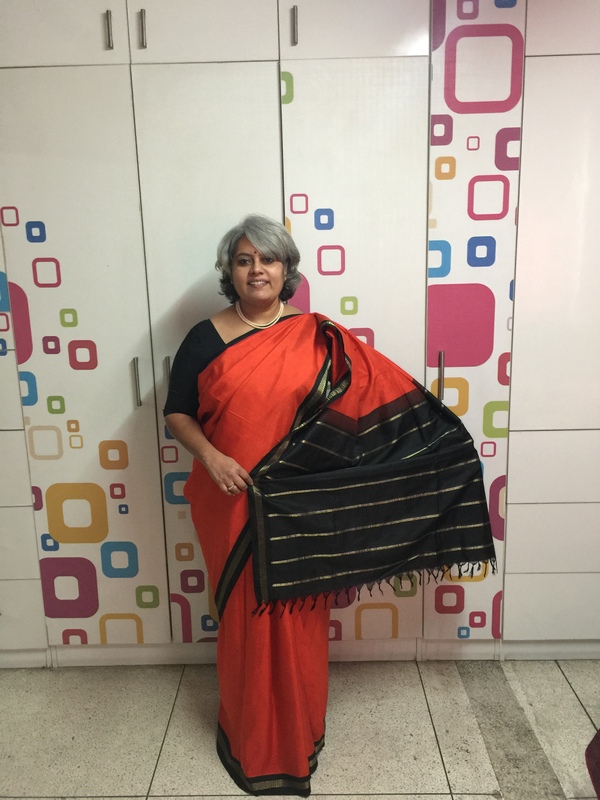 I did not know that there was a World Saree Day and that it was being celebrated on Dec 21st. I saw my twin sister Anu Varshney’s post and realised that now we had a special day for the saree too !! 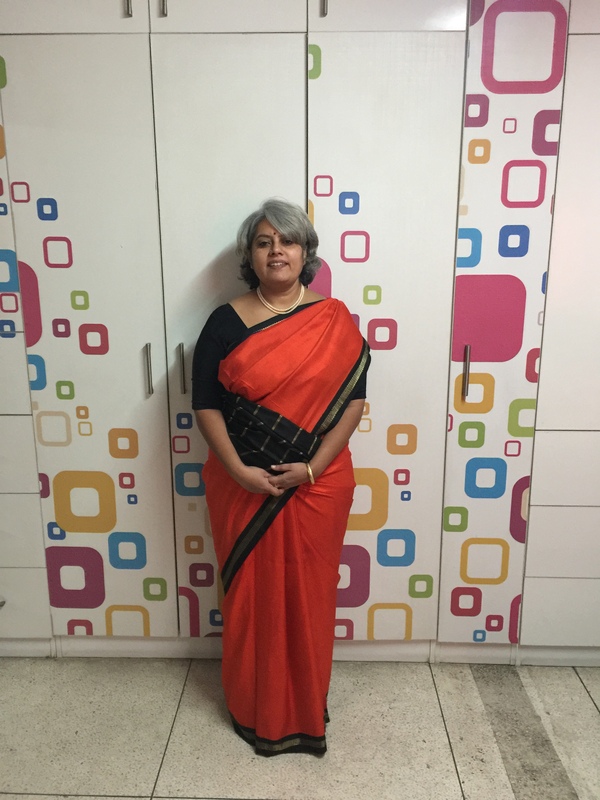 For me though, every day is a saree day. I wear one nearly everyday except some days that I vegetate in track pants or the dreaded “nighty”. On Dec 21st this year, I happened to pull out an all time favourite sari of mine and one that is somewhat of an heirloom. This sari was my mother’s engagement sari, which she wore on May 16, 1968. Ofcourse its a kanchivaram silk sari, 9 yards that I cut to 6 yards and it was bought from RmKV’s store in Tirunelveli. Amma gave it to me about fifteen years back and the silk is so beautiful that I wear it every year a couple of times and safely store it away. The silk literally shines and the borders have real “zari” with silver in it. Not a single strand of the zari has got blackened in 49 years and I don’t think it ever will. I wore a strand of light orange pearls from Jagdambika Pearls, Hyderabad. Krishnan and I had a meeting at NSDL that day and I wore this for that meeting. The sari did get attention in the metro and rightfully so I guess. Its truly a lovely sari and no wonder people valued and still value pure silk so much. Another important thing to note – this sari has only been hand washed in “reetha”, (soap nuts) and never dry cleaned. I gave it for dry cleaning just once and luckily it was to a really good dry cleaner who didn’t spoil the fabric or the “zari”. One of my wedding saris is ruined because of dry cleaning as most dry cleaners don’t know how to deal with real “zari” and it ends up getting blackened.